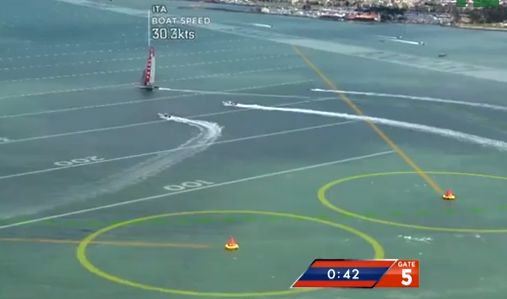 The once-in-a-life-time, come-from-behind victory of Larry Ellison's Oracle team over the New Zealand Emirates boat in the 2013 America's Cup was a riveting piece of sports theater from start to finish. This stunning win ranks in the sailing world alongside the Red Sox's ALCS baseball triumph over the 2004 Yankees and the United States Olympic hockey coup over the 1980 Russians. What really made this year's showcase mesmerizing, however, was the dynamic graphic overlay on the television screen. The real-time, superimposed lines and labels brought a somewhat esoteric sport into the mind-blowing mainstream. These visualizations of sail routes, course boundaries, wind speeds, wave directions, and boat IDs all did exactly what visual aids are supposed to do -- they added information and clarity to teach viewers about the nuances of the race. The TechCrunch video above features a fascinating interview with Stan Honey, the genius behind this year's viewer experience. Honey is the godfather of interactive sports visualizations. Known previously for football's yellow first-down line, baseball's pitch zone highlights, hockey's glowing puck tracker, and auto racing's car callouts, Honey wanted to elevate sailing to similar, technological ranks. Visual thinking is the use of graphic elements to organize and understand an issue. Here, in the high-stakes world of million-dollar racing, new animations made the race thrilling for worldwide spectators. 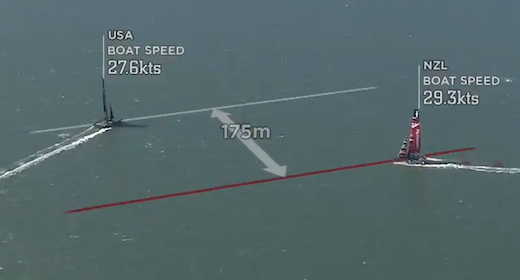 Unlike in prior, deep ocean snooze-fests, this year's Cup witnessed a head-to-head contest of vessels skimming the shifty coastal waters of San Francisco Bay at over 40 knots. The video interview emphasizes the benefits of high-quality visualizations to teach an audience. 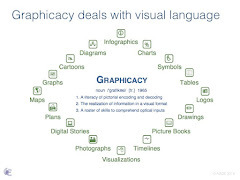 These skills of graphicacy, in encoding and decoding images, are more vital than ever in our multimedia world. Using these techniques in the classroom can help expand understanding in any subject, in any genre. Take a look, too, at this news clip from Bloomberg, which emphasizes the physical design and innovations behind the beautiful catamarans. The boats in this year's race, with their twin-hulled, carbon-fiber construction, embody the cutting edge of high-octane sailing. For all the young tinkerers and makers in our classrooms, this behind-the-scenes look at engineering could inspire the next generation of champions to hoist the Auld Mug. We could not resist using the creativity of Avalaunch Media products with our students. 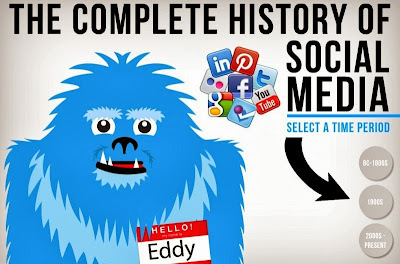 The company has truly designed some fun graphics to help explain social media not just to kids, but also to other educators and parents who are not quite as up to date. 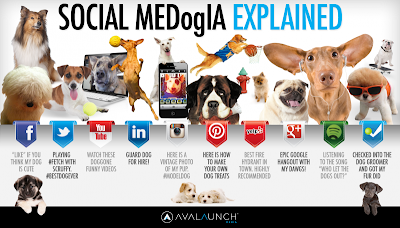 The interactive infographic on The Complete History of Social Media, the entertaining cat video entitled Social MeowDia Explained, and for the dog lovers out there, the Social MEDogIA Explained are all gems. Each in their own right makes for a perfect resource to engage learners. 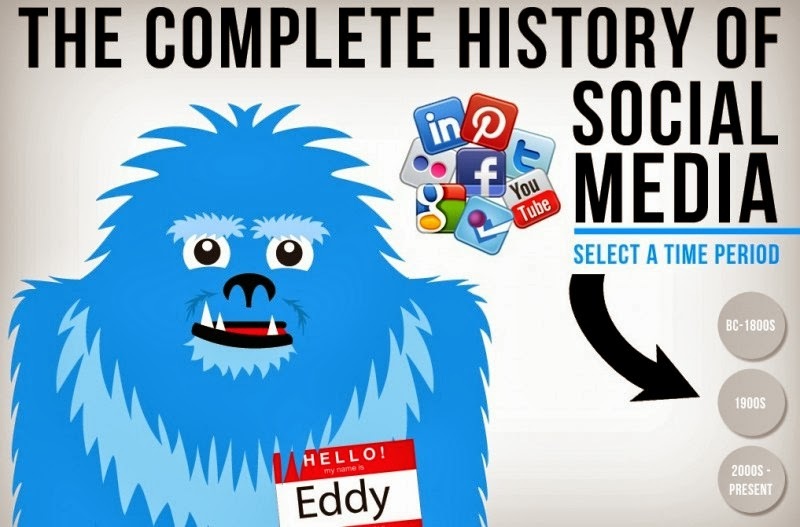 The colorful graphics and witty catch phrases are the ideal mix to get the point across about what social media is and does. They're done with a tongue and cheek sense of humor, making them just the things to keep kids focused. 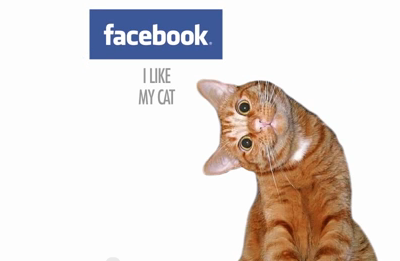 We would not be surprised if our students play and replay the cat video time and again for fun. We also love the connections made by the interactive timeline to explain the history of social media. Kids often think of the here and now, and they don't necessarily realize the evolution of communication tools. 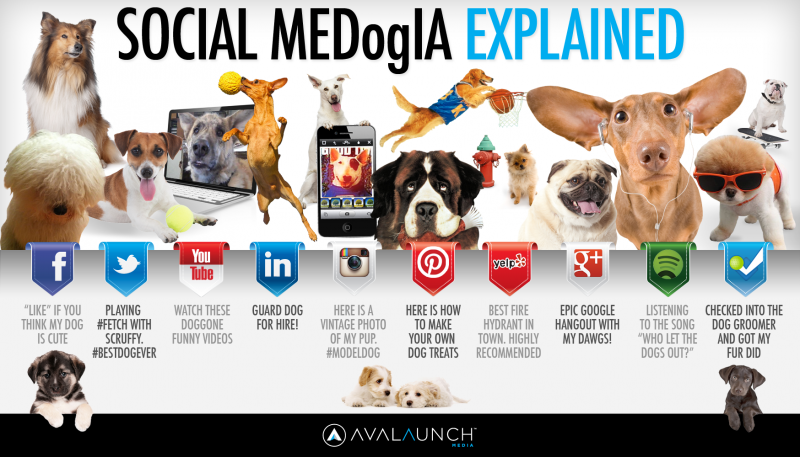 For most of our learners, Instagram and Twitter are their immediate responses to, “What is social media?” They rarely mention Facebook; it's been relegated to adults, particularly their parents. This interactive site is also perfect to use with younger children and could easily be made into a history scavenger hunt activity. The Abominable Snowman-like creature named Eddy moves his arm up and down the timeline with a click of the mouse, providing details about social media from B.C. to the 1800s, 1900s, and 2000s. Avalaunch Media refers to this as “the amazing story behind social media” today and raises the question, “So, what’s next?” It would make an interesting discussion to have students predict what they think will happen in the future, and it could easily be used for a creative writing assignment. 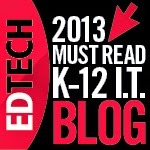 All in all, any of these visualizations make excellent resources for educators. If you’re like us, the term “social engineering” may not have entered your tool kit for teaching digital citizenship. According to Wikipedia, it is the psychological manipulation to get people to divulge confidential information by building a sense of trust. In the current digital environment, it is used for the purpose of gathering information or access to data via the Internet. 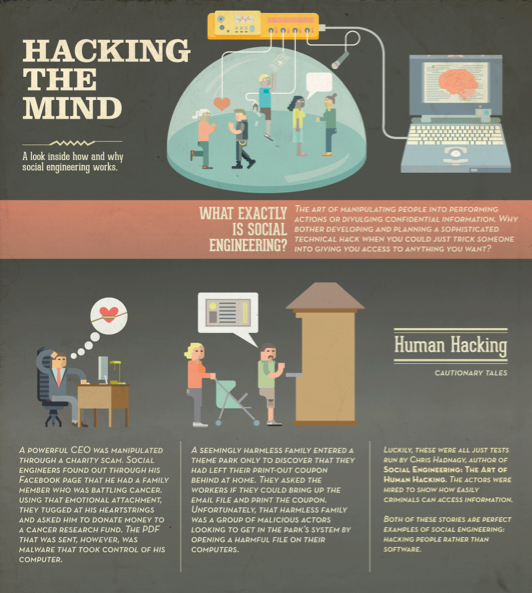 We’ve heard of phishing, hacking, or just looking over someone’s shoulder, but this approach is much more, as illustrated in the infographic Hacking the Mind from Veracode. Social engineering affects everyone. 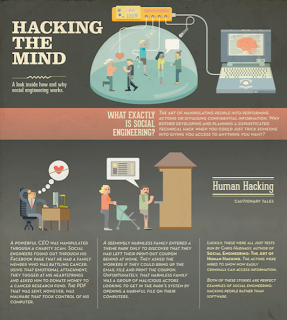 Perhaps a good way to describe it is human hacking. Security Search describes it as away to trick people into breaking normal security procedures by gaining the confidence of the user. Our learners are particular vulnerable to this, because social engineering is designed to exploit the natural trust children have of others, to take advantage of their naïveté, or to prey on their weaknesses from not being fully informed. While we constantly talk to our students to remind them how to protect themselves online, we have never used the term social engineering. For that reason, we began showing them the following Social Engineering motion graphic to help them build an understanding of what it is and to become familiar with the term. As we’ve mentioned many times before, we find that visualizations help to seal the deal and make the message better understood. Our young learners have a lot to think about in the digital world. Anytime we can give them one more view of how to protect themselves from online scams, the better. With the overwhelming number of new technologies, web tools, apps, and curricular demands, it almost seems impossible to keep up with everything. One solution we’ve never looked back on was adding Twitter to our PLN and following the #edchat hashtag. If you are one of those educators who says, “I don’t have time to tweet,” fret not; there are other ways to follow up on the weekly #edchat conversations. The associated wiki page archives the transcripts from each chat. It’s fairly easy, therefore, to go back and review the exchanges that took place. They won’t disappoint. Still feeling inundated with not enough time to read the weekly banter? 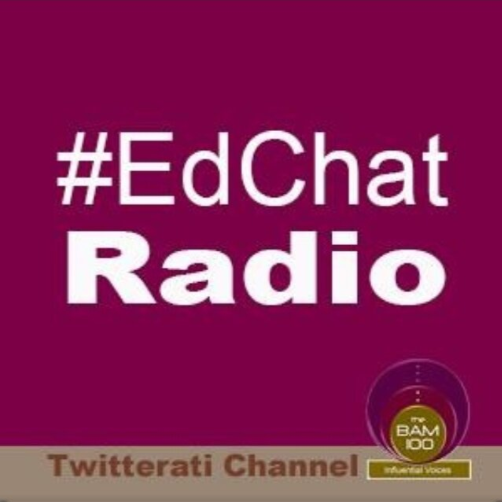 Then check out the #Edchat Radio broadcasts on The Bam! Radio Network. Tom Whitby, co-founder of #edchat, hosts the show with Nancy Blair, an education consultant. The 12-15 minute interviews with educators in the trenches coincide with the topics covered in the weekly chats on Twitter. The casual, roundtable discussions are open, frank, and refreshing. The podcasts are also available as free downloads from the Apple iTunes store. Over the past two years, we have written posts about the importance of Twitter for professional development, and we still stand by that mantra. There are many targeted chats by grade level, discipline, and theme to truly inspire and engage teacher-learners willing to take the plunge. Whether you lurk, participate, read, or listen, take advantage of the free exchange of ideas on social media. 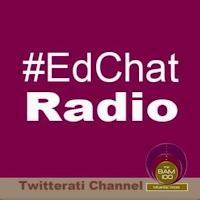 #Edchat takes place every Tuesday at 12:00 noon and 7:00 p.m. (EST). Join the movement! Check out this video produced by co-founder Shelly Terrell. As we embark on another year as educators, we have a lot to think about with regard to designing new tasks made possibly by technology. We’ve heard and read countless times about how we are educating kids for jobs we don’t know will exist, resulting from technological advances happening at lightening speed, to the point where it seems overwhelming to keep up. And it is not likely to abate any time soon. We are no longer in a world that is changing a certain amount every year. The luxury of a slow, linear, arithmetic approach is gone. Instead, our learners are operating in a world that is changing exponentially. We recently came across the motion graphic "Trillions," produced by Maya Design for the book Trillions: Thriving In the Emerging Information Ecology by Peter Lucas, Joe Ballay, and Mickey McManus. The video gives an overview of how we arrived where we are in computing today using a time line based on seconds. The authors make the point that designing for trillions is a huge challenge, bigger than any we have ever faced. It was the line in the video that “computing is an ecology” and that it is all around us – “not information in the computers, but people in the information” – that made us think: What do we mean by ecology? The standard definition for the word didn’t seem to help, and we wanted a way for our students to get a better grasp of how ecology relates to computing. This is how we came up with the term e-cology and the subsequent definition: the branch of sociology that deals with the transmission, creation, and design of digital content and its interrelationship with society and the environment. If we want our learners to have a stake in the developing digital world, we need to consider how we educate them in this new e-cology. We rapidly see the changing face of jobs now, let alone 12 years from now when out current kindergarten students will graduate from high school. 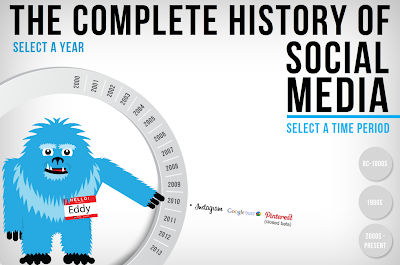 New positions for social media, digital asset management, and data visualization are just a few of the employment opportunities that were in their infancy just five years ago. Startups are also on the rise in many fields, including education. 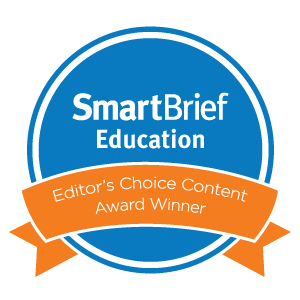 We see the extent of new types of opportunities for educators, and we don’t just mean companies trying to market material for the Common Core. The challenges do seem enormous for our students, but the risk of not facing the need for changing education in our schools is far greater. We need a paradigm shift in curricula now to accommodate the changing e-cology or we will fall further behind as a society of innovators. We’ve only been in school one week, and our students have already been probing about the situation in Syria. It’s dominated their Twitter feeds and topped the news rundown on their carpool radios. 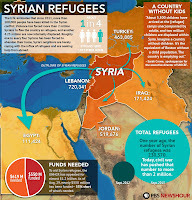 We ended up scrapping our lesson on Friday to explore the facts of the Syrian conflict with the students on iPads. It can be challenging to explain the cultural and revolutionary dynamics in Syria without getting pinned into a “should we or shouldn’t we” intervention choice. At the same time, we found it disconcerting that three different kids in three different classes asked whether the President’s actions toward Syria would lead to World War Three. After a bit of questioning, it turned out they were all responding to a misquoting of remarks by the Syrian deputy foreign minister that had been hyped by cable news. 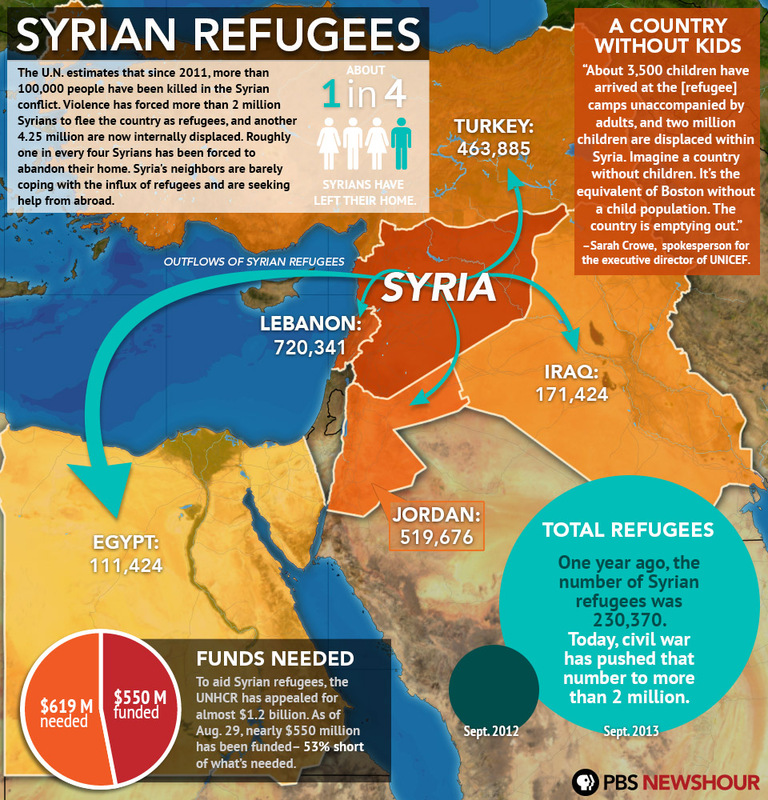 Luckily, a host of trustworthy visual resources exist to help kids learn about Syria. These can fit into any course subject, from a social history of the tension to the science behind chemical weapons. Students can then make up their own minds regarding U.S. involvement. 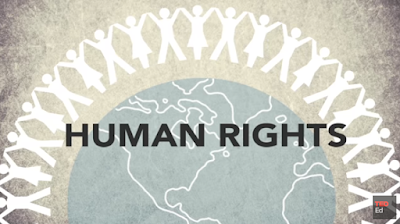 The animated video above is the perfect place to start in letting students learn about the history of the conflict. Created by Wilson Liévano and designed by Bombillo Amarillo in association with Animated Press, the motion graphic is informative and age-appropriate. It offers a complete cultural timeline and an explanation of Bashar al-Assad's reactions to rebel resistance. For lesson plans and teacher tools, PBS lives up to its reputation for objective reporting with a "cheat sheet" of regional facts and a "What Would You Do?" simulation. The news site is an invaluable repository of classroom resources. The New York Times also presents an interactive feature on the "Evolution Of Syria's Conflict." It dates from last year, but it lays out some strong background details on the roots of the war. 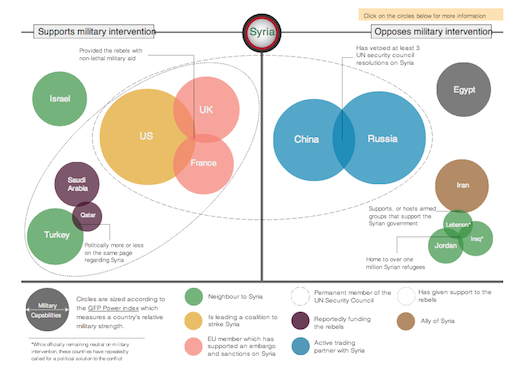 For infographics about possible partners in a military intervention, Visual.ly has gathered a helpful library of images, including the one above from Al Jazeera. Chemical weapons are bound to come up in conversations with students, because the President drew his "red line" at their use. Kids also worry about their gruesome effects. One approach to this discussion is via science. The diagram above from PBS Newshour outlines technology to survive possible exposure. 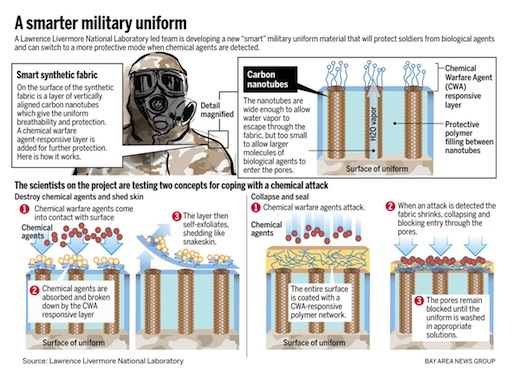 Richard Johnson at the National Post also offers a detailed graphic that explains the different types of chemical agents that Syria might employ. Finally, refugees fleeing the Syria devastation are perhaps the most critical but least reported story. The video below from Simon Rawles, entitled "Syria's Lost Generation," is a good one to share with students, because it highlights the displacement and suffering of children their own ages and younger. Syria's Lost Generation? from Simon Rawles on Vimeo. For many, Labor Day is a sign of the end of summer, the return to school, a three-day weekend, and lots of store sales. For our students, as with many other holidays, it is a day off with no classes. We often wonder how many truly understand the meaning of labor, especially when they complain of too much homework and studying. By definition, labor is hard physical work. It is also the reason we plan this week on showing them this TED-Ed animation, "Why Do Americans and Canadians Celebrate Labor Day?" by Kenneth C. Davis. As with all TED-Ed animations, educators can use the thinking and discussion questions that are provided to deepen the learning. This particular video not only provides an excellent overview about the holiday, but it also opens up connections to child labor today. Many of our students are sheltered from the idea that this is a major and growing problem around the world. They are also almost a century away from a time period in American history when children had to labor long hours in factories and not attend school. They can't image life any other way than what they know now. We've also gathered some recently published infographics for additional resource materials on the topic. The first is United States Labor Day 2013. The simple and clear layout of this design makes it easy to use with any age group. Some of the details include median earnings of males and females and the top occupations. 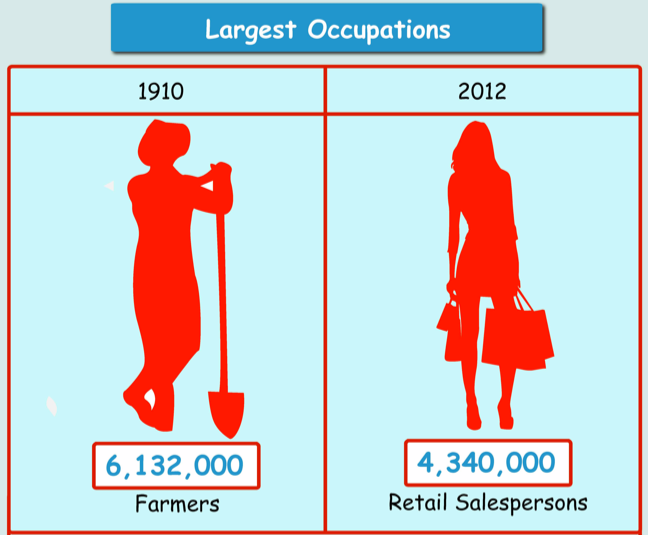 We bet most kids today would not even think that farmers made up the largest occupation in 1910 compared to retail salespersons in 2012. 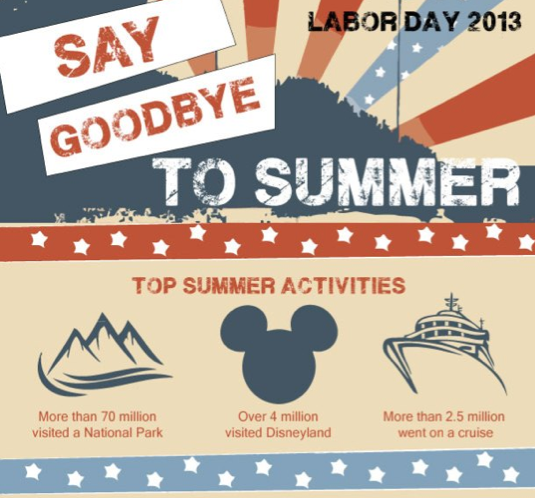 The other infographic Say Goodbye To Summer - Labor Day 2013 is how most kids think of the holiday. While it provides no history of the day, it does give an overview of how far families travel to celebrate, what they will spend on back-to-school items, and what we have to look forward to in the fall.